As part of our preparations for the Queen’s Birthday orienteering festival, the Wellington Orienteering Club is seeking expressions of interest for remapping two areas that have not been used for competition in recent years. This is our request for quotes for the first of these areas, whilst we are resolving permissions for the second. Pines on sand dunes and open farmland. There is an existing map at 2.5 m contours, but we anticipate this will be approached as a new map based on available LIDAR data. In some areas the vegetation on the supplied old map is anticipated to need significant updating. The map area shown in the image. 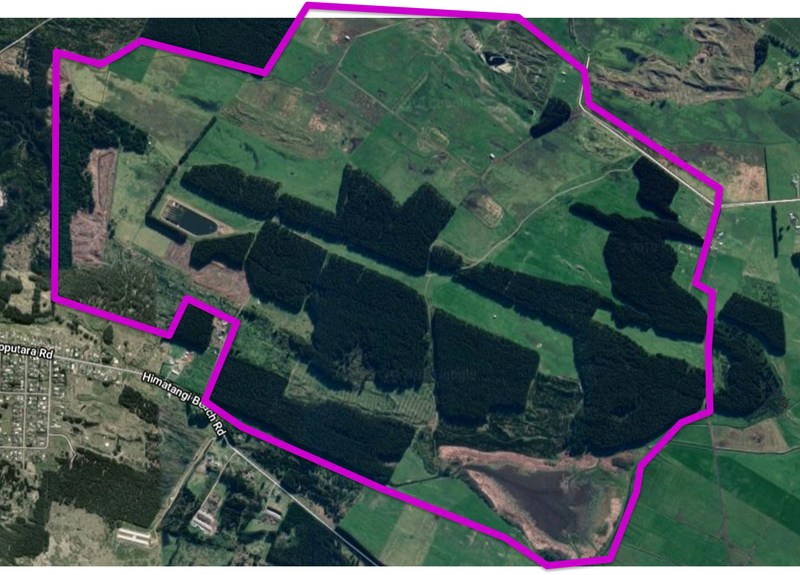 The map is accessed from Lake Road, Himatangi (///opens.audibly.crumpets). Mapped with 2.5 m contours, to be used at 1:10,000. Delivered as a master map in OCAD 2018 and a version 11 copy. For use in Queens Birthday 2019, with the final map available for planning from 1st April 2019.